DPCW(the Declaration of Peace and Cessation of War) has 10 articles and 38 clauses. Passing on to Successive Generations a Legacy of Peace~! 1,000 global people from 130 countries around the world participated in the Advocacy Forum for the Declaration of Peace and Cessation of War. 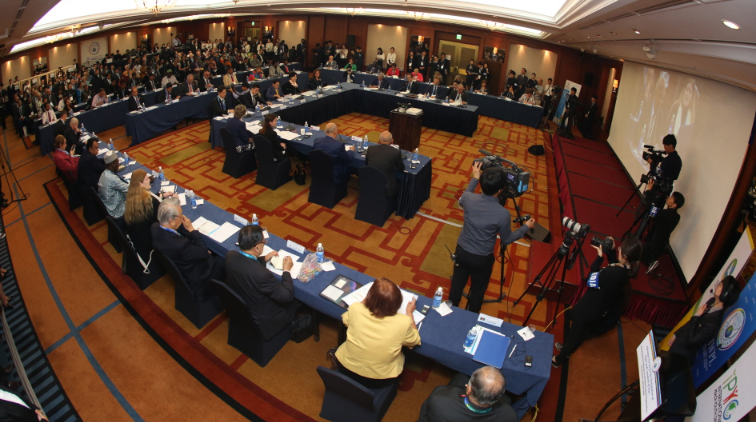 The participants include former presidents and prime ministers, ministers and high-ranking officials of governments, specialists and leaders from international organizations, civil society, religion, women and media groups. 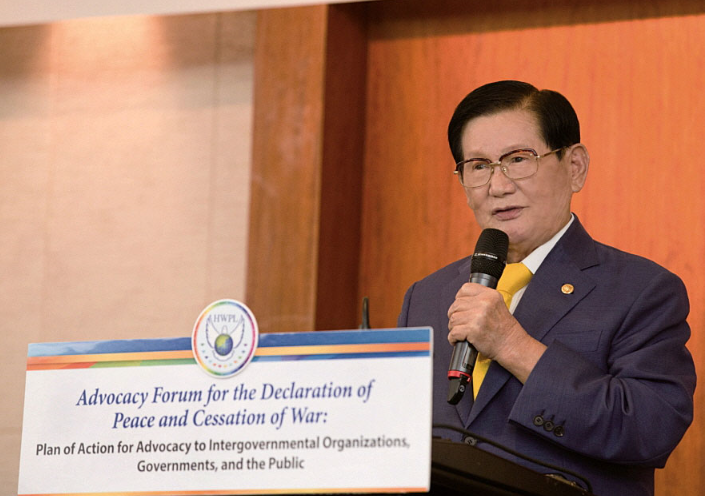 Beginning with an opening speech by Chairman Man Hee Lee of HWPL, two parts of the forum for 4 hours sought peace building strategies based on "Plan of Action for Advocacy to Intergovernmental Organizations, Governments, and the Public." 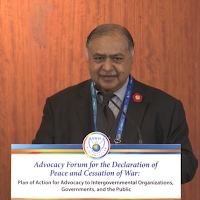 Dr. Kamal Hossain, Senior Advocate of Supreme Court of Bangladesh and member of HWPL International Law Peace Committee, stressed the importance of advocacy of international law for peace through the implementation of the DPCW. "We must make sustainable efforts for global mobilization and to combine the strength of the millions, who yearn for an end to violence and armed conflicts. ... To this end, topics surrounding the development of such legal framework should be discussed by the United Nations (UN) and other international and/or national organizations, in order to raise awareness among the public about the importance of world peace and security, as well as the contents of such a legal framework", he said. 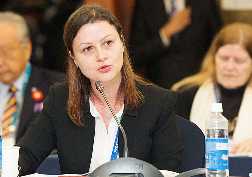 Ms. Ediola Pashollari, Secretary General of World Assembly of Youth in Albania, said, "This Declaration (the Declaration of Peace and Cessation of War) is a powerful and ground-breaking tool to dispose of all means that initiate war and armed conflicts, thus further attaining humanity's fundamental goal and peace." 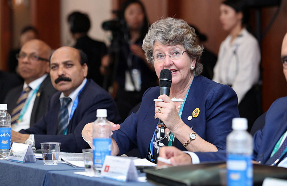 She suggested that the promotion of value of peace and justice must be provided and said, "Another effective strategy is to make a petition that will reach out to the heads of state and make the Declaration of Peace and Cessation of War (DPCW) as a legally binding international policy. Finally, to be able to follow up and realise their vision this successfully, they should be a formation of regional representatives that will be building, encouraging and overseeing all stakeholders in order to ensure that the regions are actively involved." "In order for the DPCW to be implemented and start bringing the change which it was created for, it is imperative that the public be informed about the contents and goals of this document. This means that those of us who know this declaration now need to create situations like seminars and round table discussions around it. This should be done not forgetting the power of the media, which can carry the message much quicker and wider through radio talk shows on community radio stations, television panel discussions and social network campaigns. All these wonderful modern day tools should be harnessed to raise public awareness and offer education to our people as a first step." Mr. Abdessatar Ben Moussa, President of Tunisian League of Human Rights, a representative civil society organization of the National Dialogue Quartetannounced as the laureate of the 2015 Nobel Peace Prize, emphasized the legislation through parliament or congress by saying, "The essential is to submit petitions to parliamentarians to collect petitions because parliaments are the efficient pressure methods concerning governments and Heads of States. Awareness of governments within each State is NGOs’ role. In this regard, we have to work on the acquisition of the Declaration support motion of each parliament. Support motions have considerable effect."